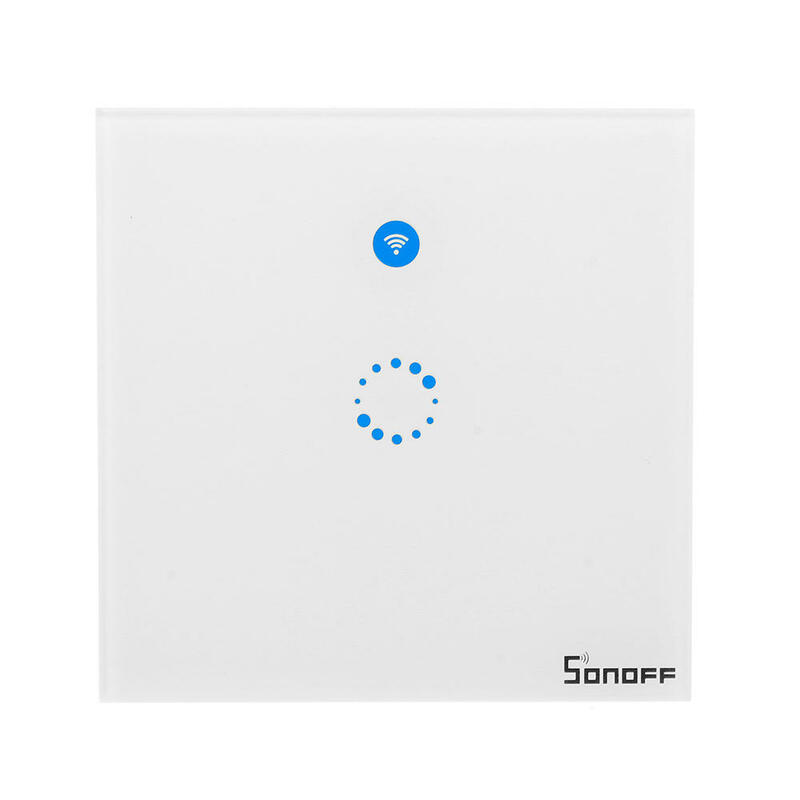 The Sonoff T1 EU Wall Touch Switch series are 1-2 gang touch/App/ RF control luxury smart light switch. The wireless wall switch can be added to iOS/Android App eWeLink via WiFi, allowing users to remotely turn on/off connected lights or appliances separately from anywhere at any time. After successfully learning codes with 433MHz RF Remote, the touch light switch can be turned on/off indoors. We provide sticky T433 86 type wall panel 433MHz wireless RF Remote control transmitter, which you can stick or screw to your original 86 box on the wall. Upgrade your home to an elegant smart home, control anywhere, anytime.